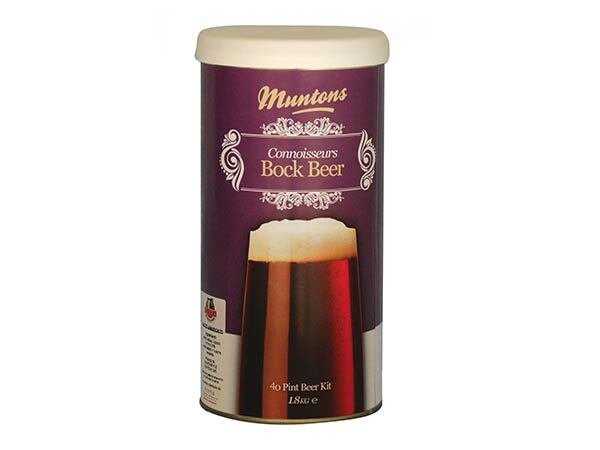 Muntons in Suffolk in the UK has produced the the famous British malts since the 1920s and is also known for their wide range of home beer making kits. 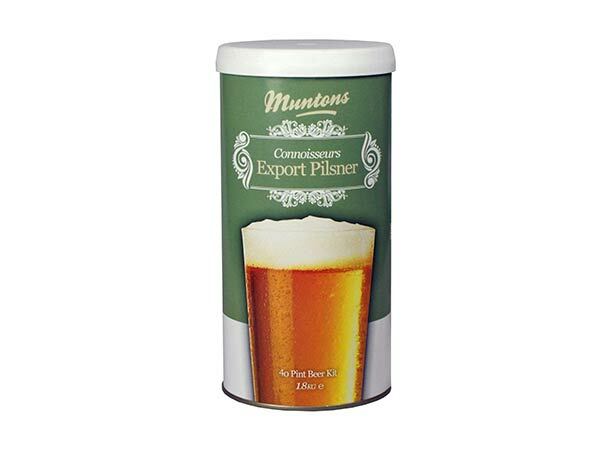 Made from the finest English malt, the Muntons range offers a variety of English and European styles of the highest quality. If you can't find what you are looking for here, make sure to see our range of Morgan's beer kits! Note: we recommend that these beer kits be brewed in combination with our brew blends for best results. 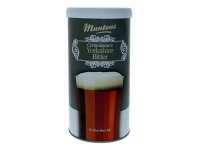 This Bock is a strong, relatively sweet and full bodied dark German lager style. Its aroma is malty and toasty, but has little or no detectable hops or fruitiness, and its flavour is rich an toasty, with a gentle hint of caramel but always well-balanced and with a restrained finish. Makes 23 litres. Best used in combination with Brew for Africa Lager/Pilsener Brew Blend. Includes generic yeast under lid. 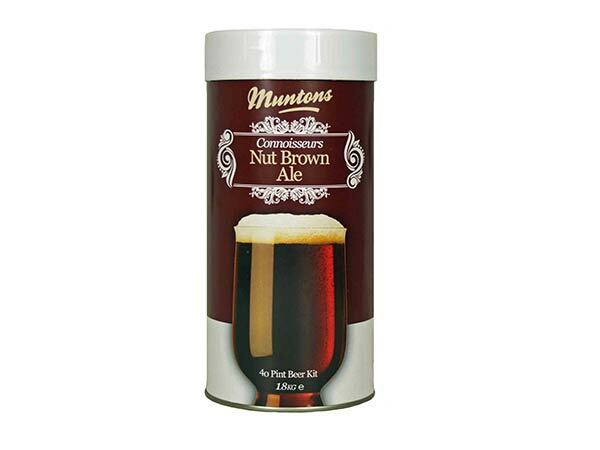 This typically English brown ale is known for its nutty flavour. With its deep amber to brown colour and its distinct caramel, toffee and chocolate notes balanced out with a distinctly nutty character is it like nothing else. Makes 23 litres. Best used in combination with Brew for Africa Light/Amber or Dark/Brown Ale Brew Blend. (The Light/Amber brew blend produces a slightly sweeter ale, the Brown/Dark brew blend results in a slightly dryer variety.) Includes generic yeast under lid. This Pilsner will appeal to true connoisseurs. It is the lightest coloured beer in the Muntons range. It has a very restrained, low yet crisp bitterness which lets the sweetness of the malt take centre stage on the palate. This very drinkable beer will benefit from a longer maturation than most other beers, but can be enjoyed after regular bottle conditioning just like all other beers. Makes 23 litres. Best used in combination with Brew for Africa Lager/Pilsner Brew Blend. Includes generic yeast under lid. Contrary to what the name suggests, a Bitter is actually a very drinkable beer where with a rich, hoppy finish to balance out the malty notes on the palate. 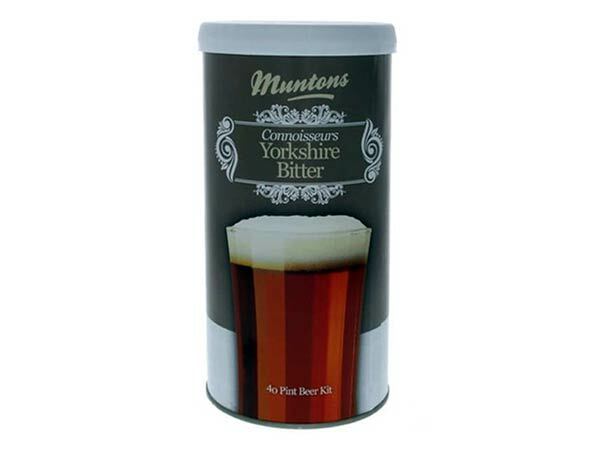 This bitter is an excellent example of the style, representative of the easy-drinking beers of the Yorkshire region of North East England and is generally considered one of the best in the Muntons range. Makes 23 litres. Best used in combination with Brew for Africa Light/Amber Ale Brew Blend. Includes generic yeast under lid.